Age : 6-8 years old Reading Level : 1st Grade - 3rd Grade Discover the funny and thrilling adventures of a little boy and his parrot ! Squawk is a tender and affectionate parrot, with a very strong character. He does not hesitate to imitate the telephone ring to make mum run, squeal when we switch the TV channel and spray water everywhere. This story of a unique relationship of 2 inseparable friends is a great for beginning readers.EXCERPTToday is my birthday and my parents are taking me to a family friend who breeds parrots. A little bird will be my gift. I have been collecting a lot of information about parrots over the past weeks and I feel that I’m now ready to take care of my pet. “Choose one nestling” the lady says to me “they are all so cute!” and she is right. They have a very big head and an even bigger beak and they look at me with wide open eyes. One little parrot has a funny feather peeping out from the back of his head. He looks funny and I decide he will come home with me. 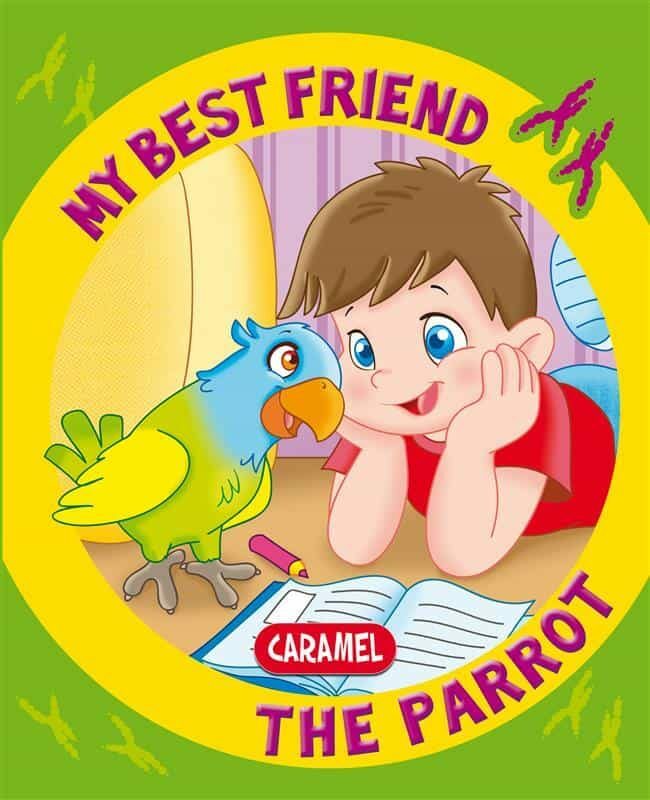 As I pick him up he opens his beak and emits a strange call “I like it, I’ll call you Squawk!”Featured books:&nbsp;&nbsp;&nbsp;•&nbsp;My Best Friend - The Dog&nbsp;&nbsp;&nbsp;•&nbsp;My Best Friend - The Cat&nbsp;&nbsp;&nbsp;•&nbsp;My Best Friend - The Pony. Otros ebooks de Monica Pierrazzi Mitri.